This is a welcome reissue of prime 1970s jazz from post rock/electronica label Hefty. 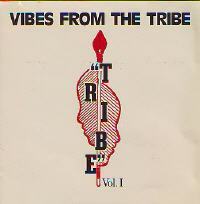 Phil Ranelin was a session trombonist recording with the likes of Steve Wonder before setting up his own Tribe label, home to his own releases (Hefty has also re-released his first effort, A Message from the Tribe) and that of others like trumpeter Marcus Belgrave and drummer Doug Hammond. 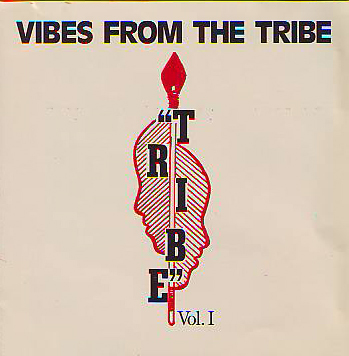 Like other contemporary artist run labels like Strata East and Black Jazz, Tribe releases were characterised by a heady mix of post Coltrane free jazz, soul and funk, all informed by a strong political conscience. 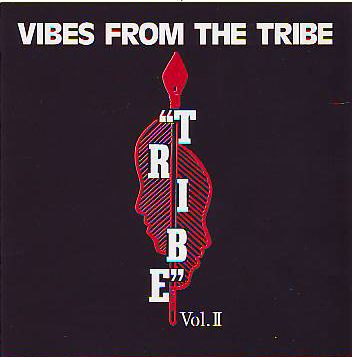 Soul Jazz have already put together a superb compilation of Tribe material and hopefully this release will trigger some more reissues. 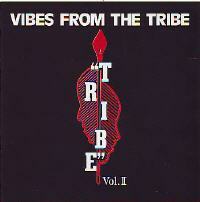 Vibes From the Tribe is a fine record. The title track (here versioned three times, and I'm not complaining) is lusciously, greasily funky and stands in pretty stark contrast to the kind of airbrushed fusion that was in vogue at the time. "Sounds from the Village" is even better (and dirtier), showcasing Ranelin's oily trombone gymnastics and a viciously fuzzed guitar solo. "Wife" features Phil's singing and is oddly reminiscent of Frank Zappa's writing on Sleep Dirt; an affecting, snaking melody topped off with a beautiful solo from the leader, whose playing here has the grace of Bob Brookmeyer coupled with the agility of George Lewis. "He The One We All Knew" is the obligatory Coltrane tribute and is a trip into the kind of groove based free playing typical of Pharoah Sanders, though only really picks up when the band launch into post bop swing mode in the last six minutes or so, provoking another fine Ranelin solo. Bassist Ralph Armstrong is particularly strong here; his brief solo passages are a wonder of agility and tough lyricism that make me wonder why he's not better known. Other highlights come from the mellifluous flute of Wendell Harrison. Beautiful stuff, and it's good to know that Ranelin is still at work even now. Essential.